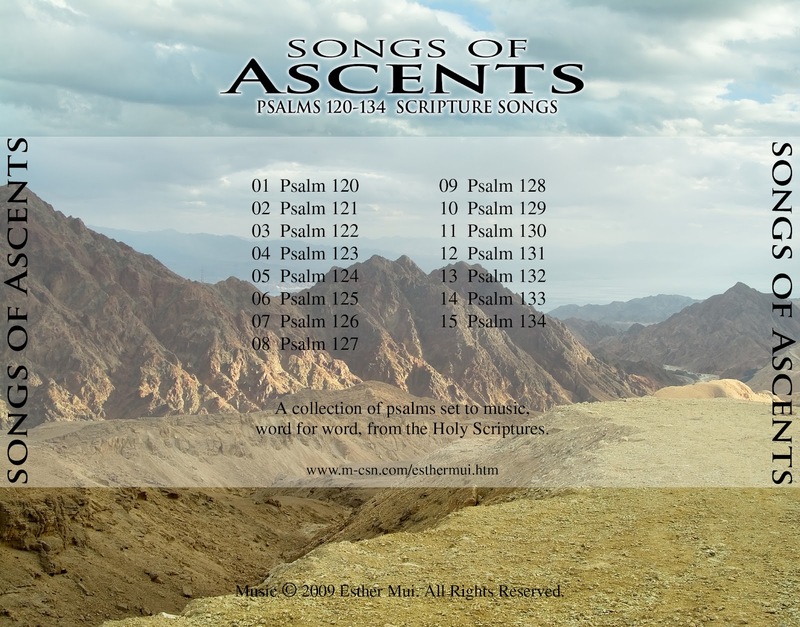 This is the 1st Scripture song album, released in January 2010. 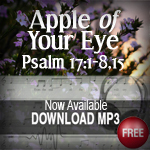 In June 2009, Esther was asked by our pastor to put music to Scripture, word for word, specifically to the 15 Songs of Ascents (Psalms 120 to 134) From the start of the first psalm she worked on (which was Psalm 130) to the completion of the last one (Psalm 133), we did not cease to be amazed, for the Lord gave her melody after melody to fit His Words. We believe this is because we, the church of Jesus Christ, are entering into a season when these psalms will become more and more relevant, as we look forward to our Lord’s return. To Grace Soon, my sister, for lending her voice to make Psalms 132 & 134 sound more majestic. 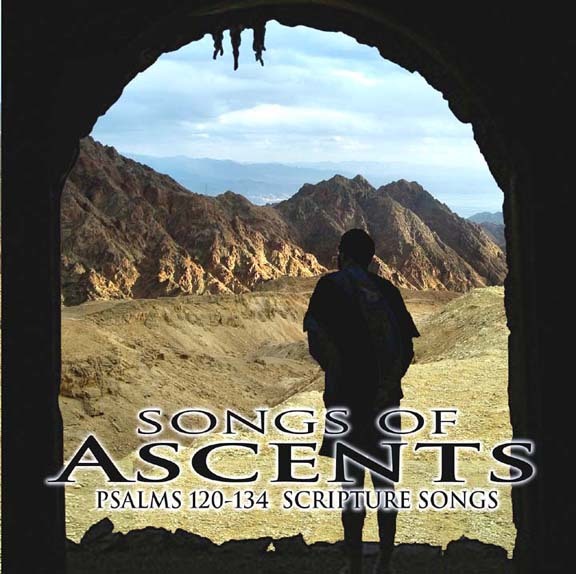 Psalms 120-134, also called the Songs of Ascents, are basically songs sung by the Israelites as they “ascended” in their pilgrimage to Jerusalem (Zion) to worship God at the annual feasts. The Songs of Ascents collectively have a Zion-ward movement and express a deep yearning to be in Zion, the eternal dwelling place of God. These 15 psalms can be divided into five groups of three. The first four groups (Psalms 120–131) share similar themes: the first psalm has the pilgrim crying out to God for help in a situation of distress; the second emphasizes the Lord as the deliverer; and the third rejoices the pilgrims’ ultimate security in Zion where God dwells. 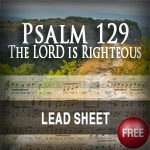 The last three songs (Psalms 132–134) are all psalms of arrival celebrating the blessing of being and fellowshipping in the Presence of God in Zion. Why sing the Songs of Ascents? 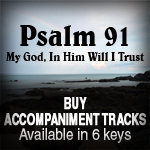 Firstly, it is in obedience to God’s command to use psalms in worship (Col. 3:16, Eph. 5:19, 1Cor 14:26) and to meditate on His Word day and night (Psalm 1) that we might be blessed. Singing makes memorizing much easier. Secondly, many Scriptures are prophetic of the end time, and none more so than the Songs of Ascents. These psalms teach and prepare us to face the distressing tribulations that the true Church of Jesus Christ will increasingly experience in this end time (Mt 24: 9-13, 22). The ancient pilgrims’ cries of hope in distress are becoming our cries to God for our own deliverance. Furthermore, their joyful arrival in Zion encourages us to hold on to our blessed hope in Christ when He returns to take us to reign with Him in Jerusalem (Rev. 20:4). 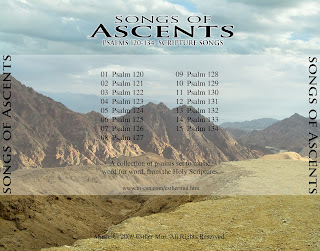 Lastly, the Songs of Ascents remind us that even now, we are all pilgrims on an inward spiritual pilgrimage Zion-ward as we await our literal ascent to Jerusalem. Therefore, we are exhorted not to love the world or the things in the world, to forsake all, take up our cross daily and follow Christ.